Continuing with the Wedding Season, the Chinese Community Centre (CCC) Lion Dance Troupe had the great pleasure of performing at the wedding reception of Stephanie and Thomas. When all the guests arrived and were seated, the bridal party was introduced to the guests. 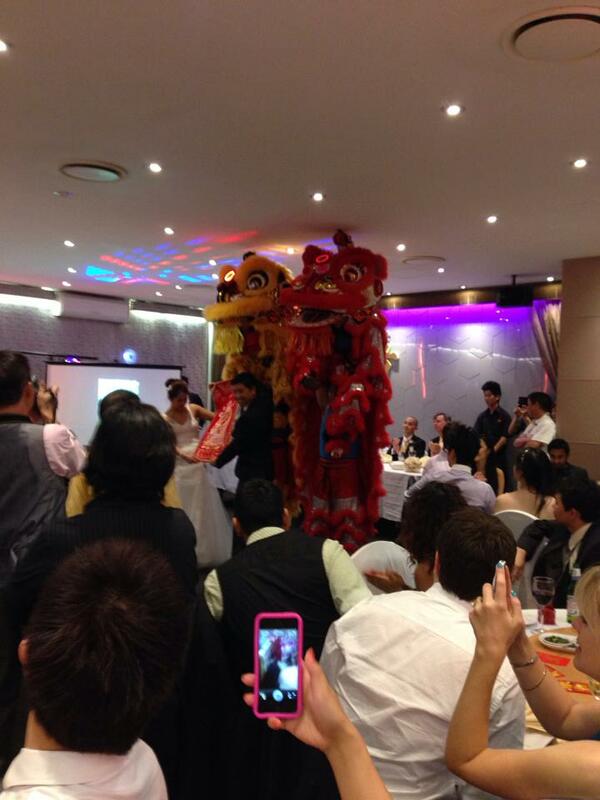 Once the bridal party were seated at their table, the loud drum hit and 2 lions made their way into the restaurant. The lions made their way through the restaurant interacting with the guests, then making their way to the front where they blessed the bride and groom. The lions presented the bride and groom with a good luck scroll. The lions then finished the performance to the enjoyment of the bridal party and all of the guests. The members of the CCC Lion dance troupe then congratulated the bride and groom on their holy union. The CCC Lion dance Troupe will like to wish Stephanie and Thomas the best of fortune, success, and love in their marriage. 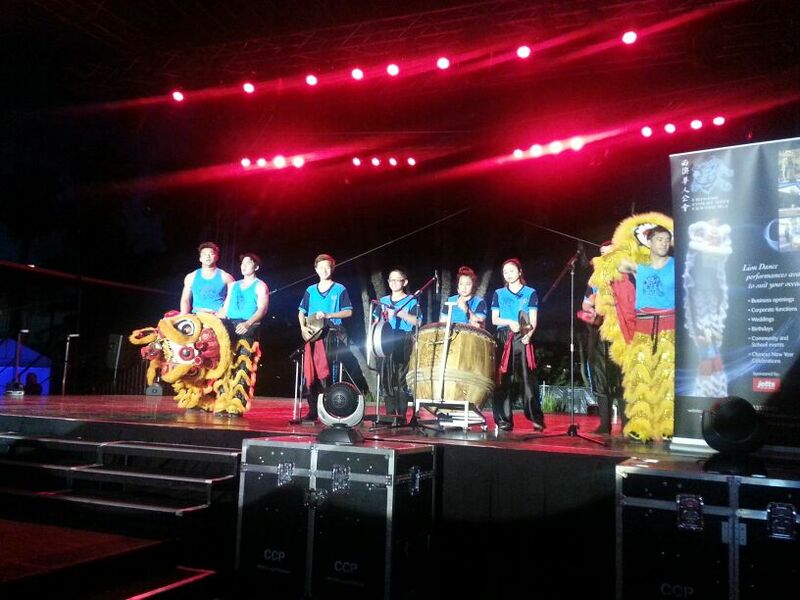 The CCC Lion Dance Troupe had the great pleasure of performing at the Swan Festival Of Lights 2013, located at the Supreme Court Gardens. 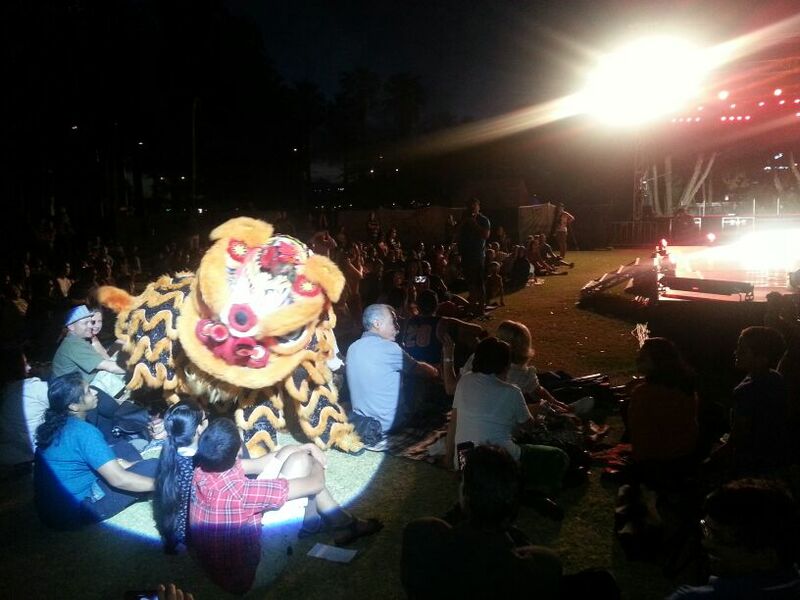 In celebrating the festival of Deepavali, which means “row of lights”, the festival uses the unifying theme of light to bring together and celebrate WA’s cultural diversity through dance, music and cuisine. This meaningful festival was organised by the Temple of fine arts and Annalakshmi Cultural Centre of WA. The event was attended by over 10,000 people, in which all were entertained by multicultural acts and a variety of Indian foods. 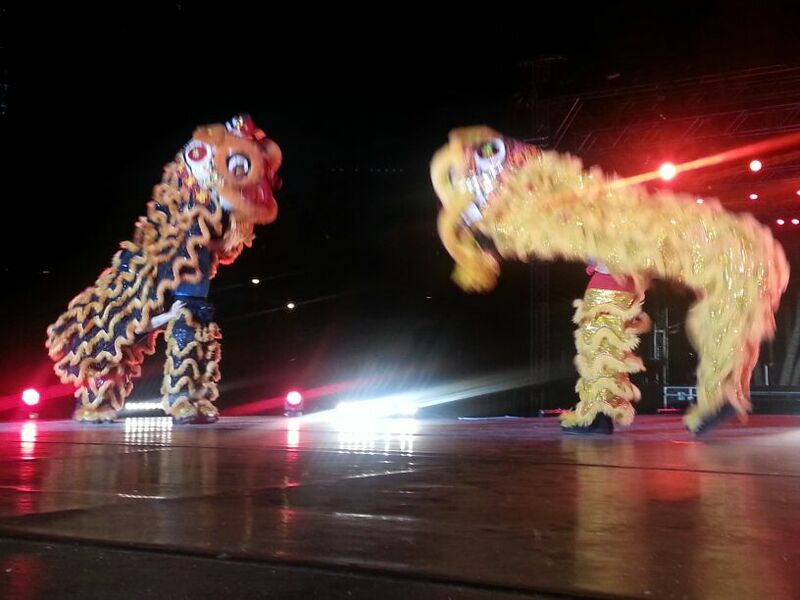 The Lion Dance featured two lions in which they made their way onto the stage, and performing movements on the cat walk, then heading into the audience to interact with the audience. 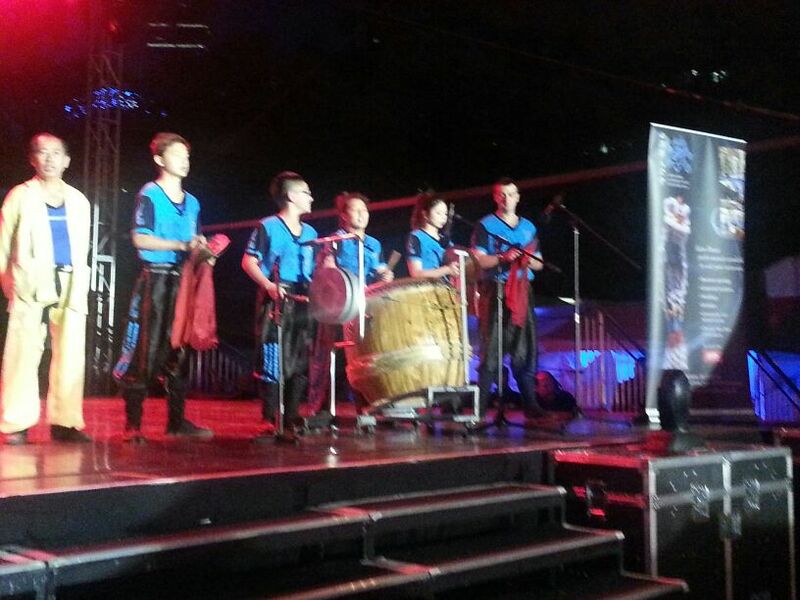 The performance was very much enjoyed by all, in which a loud applause was given at the end. The CCC Lion Dance Troupe will like to thank all the organisers of the event for their great hospitality shown to the troupe. The event was a definite great success!